You Are Here: Home » Neymar news: 2018-19 » Why is Brazil favorite to win the World Cup? The 2018 FIFA World Cup kicks later today, with Russia hosting Saudi Arabia in Moscow, at the Luzhniki Stadium. As usual, Brazil is among the favorite nations to go all the way to the final and become the next World Champion, even though no one expects it to be an easy road… Most of the sports betting experts have no seconds thoughts about pointing Brazil as the strongest squad in Russia, but we all know how opinions can drastically change after seeing how each debuts in the tournament. The Brazilian team is lead by PSG superstar Neymar Jr, but the truth is that their real strength resides in a lot more players. Neymar‘s supporting cast includes some of the best players in the world in their positions, despite the fact that not all of them are as mediatic as the former Santos and Barcelona forward. The last man defending will be the still AS Roma goalkeeper, Alisson Becker. He’s proved to be extremely reliable and he’s also been strongly linked with a move to Real Madrid this summer. The back four will be formed by Marcelo (Real Madrid) on the left, Danilo (Manchester City) on the right, while Thiago Silva (PSG) and Miranda (Inter Milan) will pair up in the center. Many experts claim that Brazil‘s biggest weakness historically is their defense, but with these players around, we honestly don’t see it as much of a vulnerability this time around. 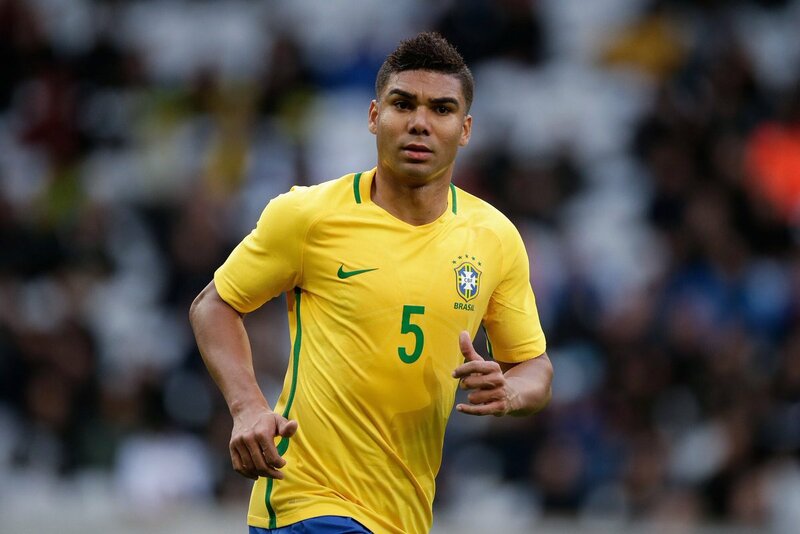 One of the most important player role in this team will be handed to Casemiro, the Real Madrid defensive midfielder. The 26-year old is undoubtedly one of the best players in the world in his position and he’ll be tasked with the mission of assuring that Brazil‘s strategy never falls apart. To help doing his job, the Brazilian will be accompanied either by his rival in Spain, Paulinho, who plays for FC Barcelona, or Fernandinho from Manchester City. No matter who plays, Brazil will be immensely strong in this area of the pitch and no one expects things to go wrong here either. Tradittionaly, Brazil‘s strongest weapon is their attack. 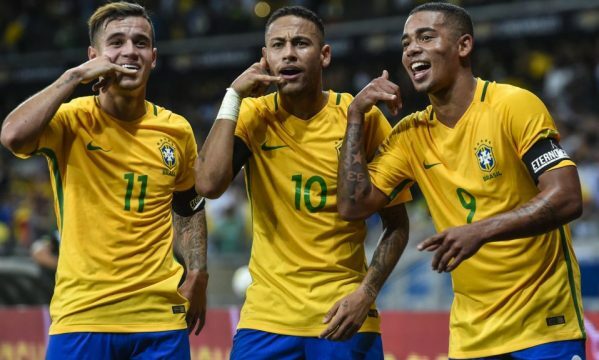 Coutinho from FC Barcelona will most likely be the playmaker, feeding a front three formed by Willian (Chelsea), Neymar (PSG) and Gabriel Jesus (Manchester City). There’s also Roberto Firmino from Liverpool, who should start the tournament on the bench, but who will definitely be ready to step in whenever Tite decides to change things. Brazil starts their campaign against Switzerland this next Sunday (June 17), as they play their first fixture in Group E. A win in their opening match will be a massive step to go through to the knockout rounds, as their other 2 opponents in the group shouldn’t pose much of a threat: Costa Rica and Serbia.